Nigeria’s external reserves have risen to the highest level in almost three years as it hit $33.11 billion last Thursday, data from the Central Bank of Nigeria(CBN) has shown. That development has put the country’s reserves back at a level not seen since December 2014. Last month, the reserves stood at $33 billion as at September 14, riding on the back of increased oil earnings. The acting Director, Corporate Communications of the apex bank, Isaac Okorafor, had said that the accretion was a further indication that the economic recovery that started in the second quarter of the year would be consolidated. Speaking on behalf of his principal, Godwin Emefiele, the CBN spokesman expressed assurance that the bank would work hard to keep growing the reserves and strengthening the economy. “The nation is highly import dependent. This dependence has really eaten deep into our external reserves. 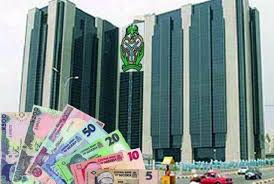 The CBN requires the foreign reserves not only to intervene in the foreign exchange (forex) market, but also to maintain the stability of the local currency.” Recall that it was the process of making large amounts of foreign exchange (forex) available to the market that led to the appreciation of the Naira by over N85 in less than one week early this year. Through the series of its intervention, the apex bank was able to rejuvenate the currency from about N520 per dollar to its current level of N360/$. Apart from performing the stated role, Uwaleke also explained other uses to which CBN can be put the reserves. “The CBN also requires the foreign reserves to manage inflation because high exchange rate also rubs off negatively on inflationary pressure. Reserves are also required to make the country appear credit worthy because if your reserves drop to a particular level,it may make the country’s credit rating to fall. At some point, our reserves were getting very close to a point where it could not sufficiently finance three months of import, which is the threshold. And once your reserves drops below three months of import, then you are not credit worthy. “A study by Tule et al (2015), which sought to determine an optimal forex reserves for Nigeria, established a minimum core foreign reserves level of $32billion (being equivalent of 7.2 months of import). The International Monetary Fund (IMF) recommends three months of import cover as a minimum benchmark for reserves”. October 2016 before recovering to slightly over US$30 billion today. per month at some point. “Despite these outcomes, the demand for FX has risen significantly.